"PRE-CONSTRUCTION - TO BE BUILT" | 3 BD / 2 BA NEW CONSTRUCTION HOME - Built by AWARD WINNING BUILDER - STRATA BUILDERS. Located off of major highways, but within short distance to schools and shopping is this Craftsman Style home featuring a front elevation complete with custom front door with sidelights that offer natural light right into the foyer. 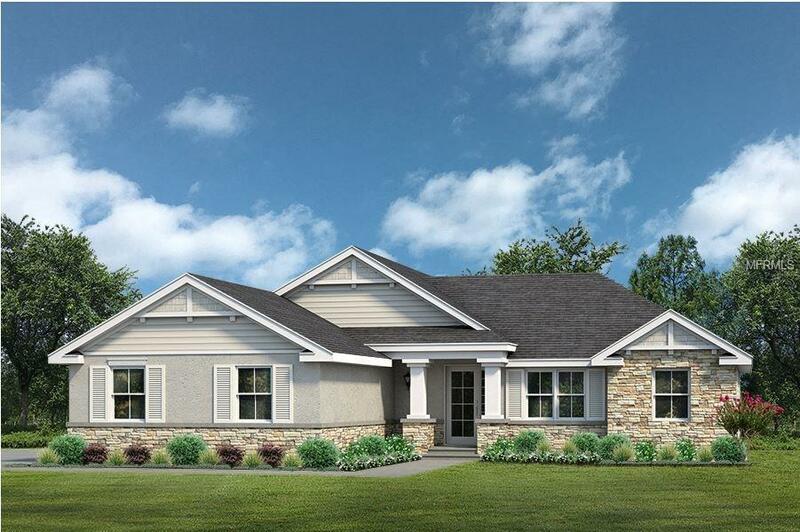 An attached, two car side entry garage featuring a Belt Drive garage door opener, will provide plenty of space for storage and parking and convenient access to the interior utility room. Inside, the open floor plan utilizes its' square feet to provide plenty of room for entertaining guests. A private hallway leads to the master suite which features a dual vanity, tub with separate shower stall and a walk in closet, the master suite features additional closet space separate from walk in. There is an additional study/office space for you to make your own . The first guest bedroom offers a walk in closet and both guest bedrooms are centrally located near the guest bathroom. The kitchen features GE stainless steel appliances, a walk-in pantry, solid wood cabinetry with soft close finishing, an island overlooking the family room & solid surface counter tops. Access the expansive lanai from your nook or from the spacious family room. Other interior features included are large baseboards, upgraded interior doors & window casings, brushed nickel faucets, Progress Lighting packages throughout, & insulated windows.